OLD DETROIT RED STAR TRANSIT COMPANY 1930's photo picture print for sale. The Red Star Transit Company, Inc. was based in Detroit for many years. It was purchased by Jones Motor Company in 1960. 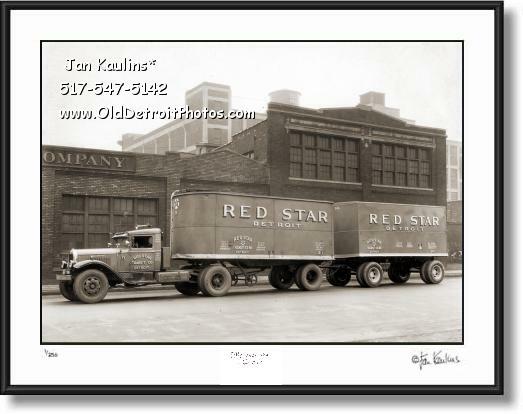 This is an excellent quite rare vintage DETROIT RED STAR TANSIT COMPANY photo picture print for sale showing a very unique double trailer from the mid 1930's.